Just a few hours ago, Brian Jonestown Massacre frontman Anton Newcombe took to Twitter to claim that Apple was playing dirty. He said that Apple had threatened to remove his music from iTunes if he didn't agree to stream it for three months royalty-free over its new Music subscription service. Newcombe tweeted: "So @APPLEOFFICIAL has a new deal they offered me: they said we want to stream your music free for 3 months.. I said what if I say no, and they said "we'll take your music off itunes." His rant about Apple's alleged behaviour continued: "The biggest company on earth wants to use my work to make money for 3 months and pay me nothing - [if] I say no, I'm banned". TechRadar is continuing to investigate these claims. Apple's stance on Music, as it tells TechRadar, is that artists are free to choose whether to offer their music on the new subscription service or sell it on iTunes. Furthermore, Eddy Cue, Apple's senior vice president of Internet Software and Service. told The Sunday Times last week: "We're not telling customers that want to buy that they're doing the wrong thing, just like we're not telling artists that want to make their music available for sale that it's a bad thing." Spotify guarantees that 70% of post-tax income goes to the artists and labels, while Apple says it will go slightly higher and offer up 71.5% in the US, and an average of 73% outside of America. That's still not as high as Tidal's 75%, mind. However, it's that three-month free period that is going to mean a financial sacrifice for artists and labels who will make zero royalties - and Widcombe isn't the only one to raise issue with it. This week the Beggars Group, a British record company that owns or distributes music for indie labels including XL Recordings, Rough Trade, 4AD and Matador released a statement regarding stalled negotiations with Apple. 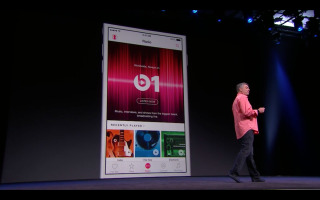 "We have recently been in discussions with Apple Music about proposed terms for their new service. In many ways the deal structure is very progressive, but unfortunately it was created without reference to us, or as far as we know any independents, and as such unsurprisingly presents problems for us, and for our coming artist releases. "We are naturally very concerned, especially for artists releasing new albums in the next three months, that all streaming on the new service will be unremunerated until the end of September." French indie music trade group UPFI has also rallied against Apple Music in an open letter to Cupertino executives. A translated version of the letter reads: "Unfortunately, the speed with which Apple has announced the launch of this new service and the lack of consultation from the independent sector regarding contractual terms that are proposed or imposed on them, gives the feeling that Apple intends to impose its terms without the possibility of real negotiations prior. This attitude is clearly likely to have serious adverse consequences for our members in the short term. "The most damaging decision for music producers is that of imposing a total lack of compensation for labels for a period of 3 months, corresponding to a gratuity offered to customers of Apple Music."